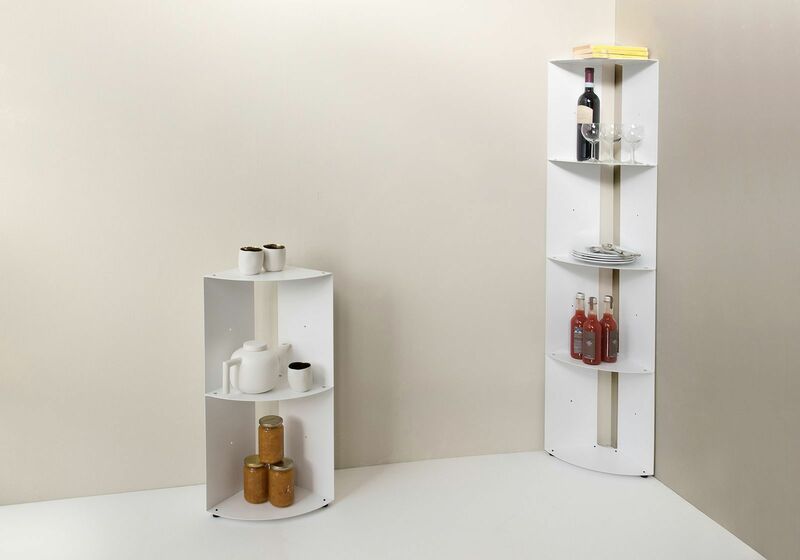 DANGOLO is a functional and adaptable wall corner shelf. With its refined and minimalist style, its design will go with any kitchen style. 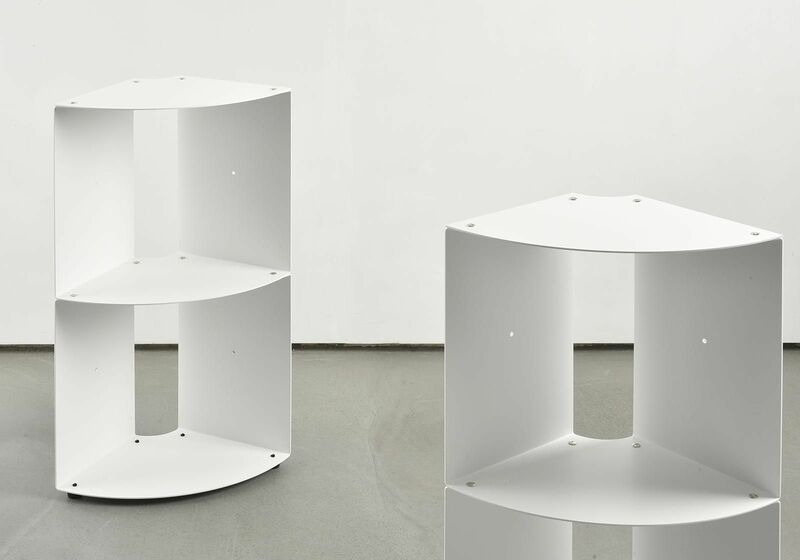 Add more pieces and let your shelving climb sky-high! 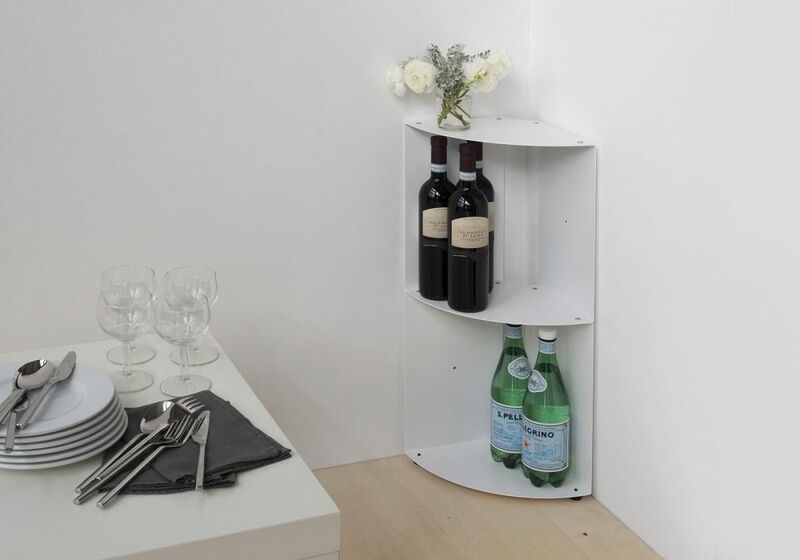 Use as a little minimalist corner cabinet when installed on the floor or as practical storage attached to the wall; DANGOLO is a functional and adaptable wall corner shelf. 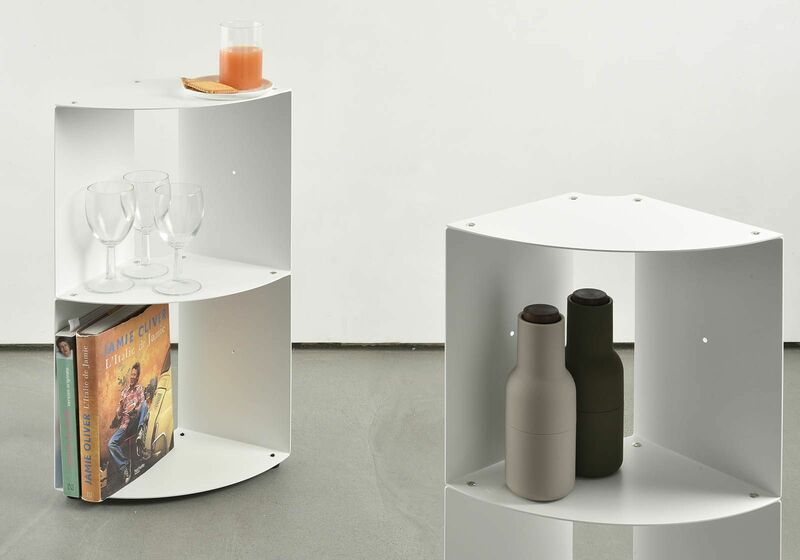 Add more pieces and let your shelving climb sky-high! 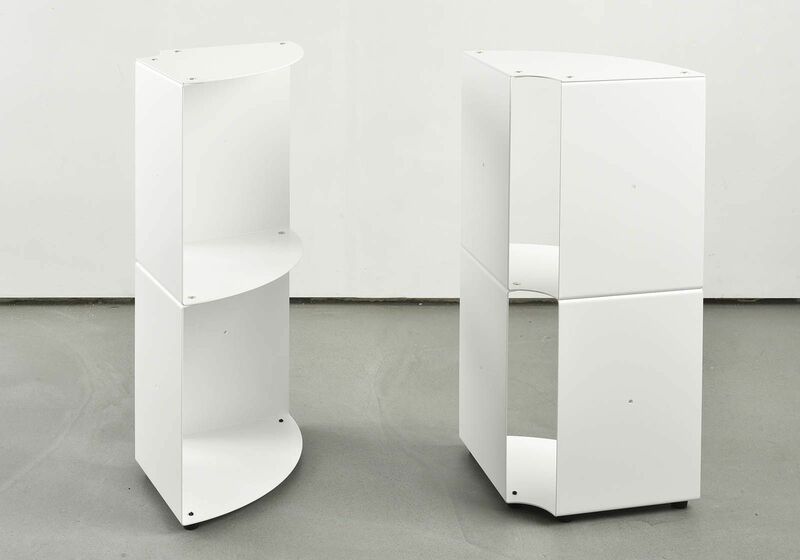 Available in two colours (black or white), DANGOLO will fit right in to your rooms, adapting to both your needs and desires. With its refined and minimalist style, its design will go with any kitchen style. 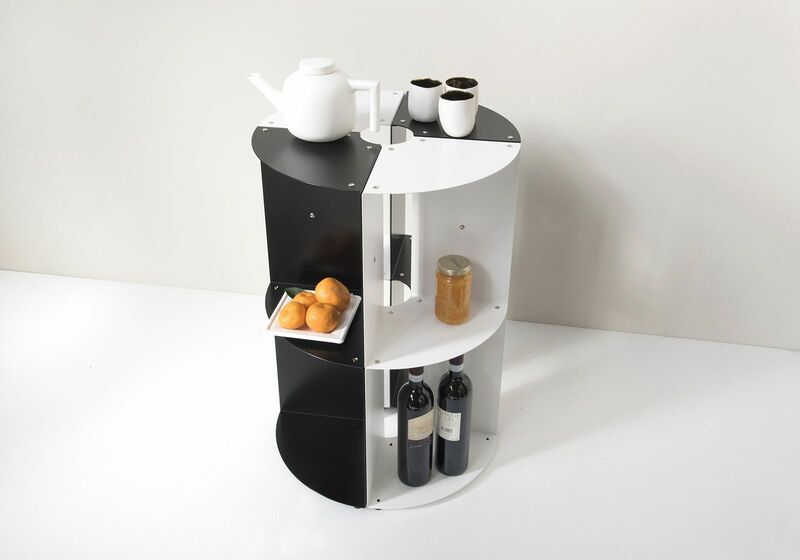 Used as a little cabinet on the floor (or not), DANGOLO will subtly make the most of all the corners of a kitchen. 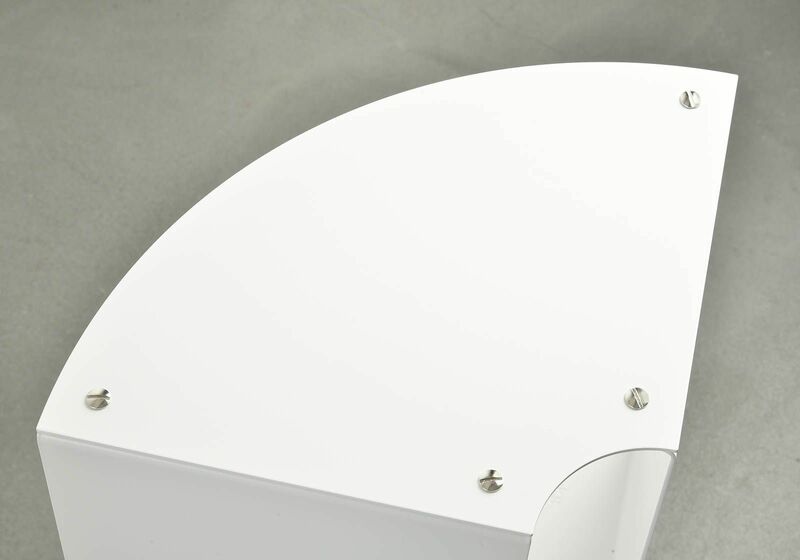 Its great storage capacity allows it to hold 30kg!